The north shore of Long Island, New York, USA, was a favorite retreat for the rich and the famous in the beginning 20th century. 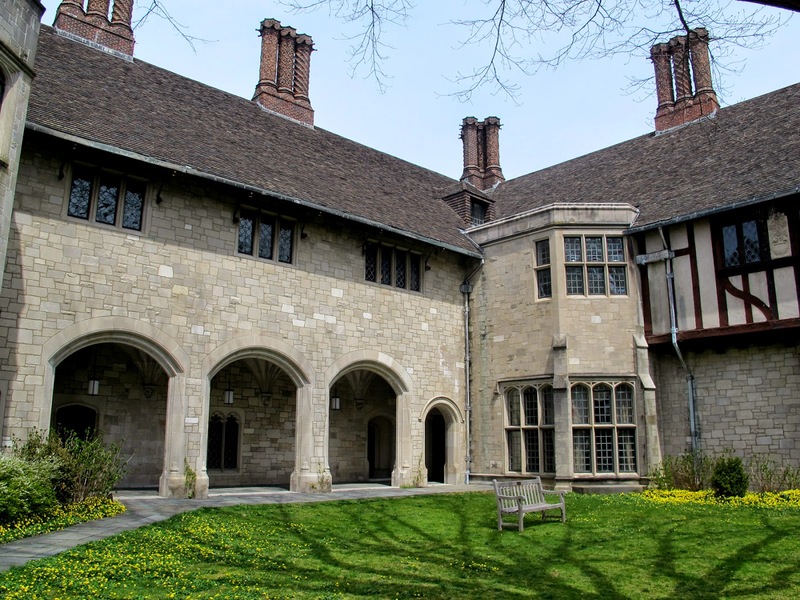 The great fortunes were made by many - wealthy industrialists and bankers Vanderbilts, Astors, Whitneys, Morgans, Pratts, Hearsts, and Guggenheims build their mansions on the 16-mile stretch of the north shore of Long Island - the Golden Coast. These houses were modeled after the grand country homes of the European gentry. It was a world that inspired American novelist F. Scott Fitzgerald in his classic tale, The Great Gatsby, which portrays the lavish lifestyles and elite society life of the Gold Coast during the Roaring Twenties. 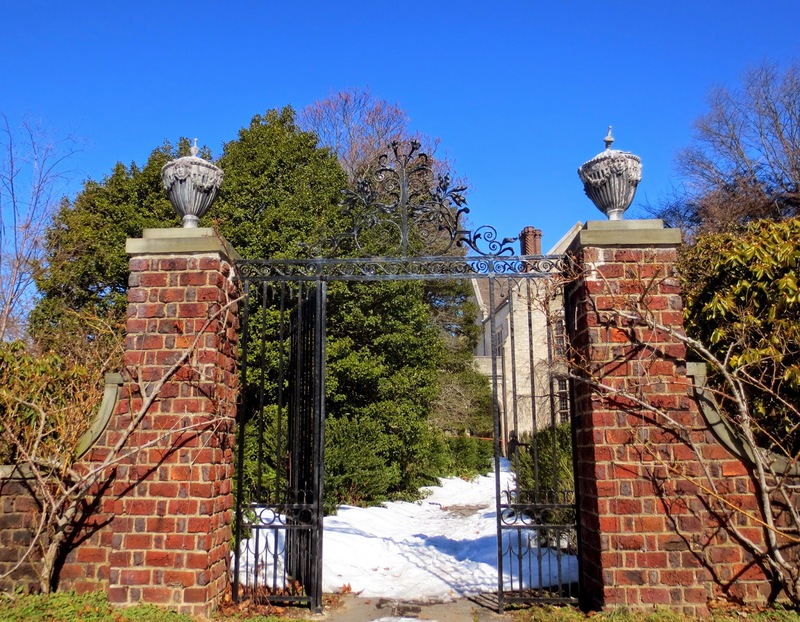 One of such estates is Long Island Botanic Garden - Planting Fields Arboretum State Historic Park. Hundreds of years ago there were indeed "planting fields" here - the Matinecock Indians grew maize and pumpkins in the rich soil. A wealthy New Yorker, James Byrne, acquired most of the farmland now comprising the Arboretum and in 1906 built a home here. In 1913 he sold to English born William Robertson Coe, president of a firm of marine insurance brokers. Coe was involved in insuring the hull of the Titanic, which sank on its maiden voyage in 1912. 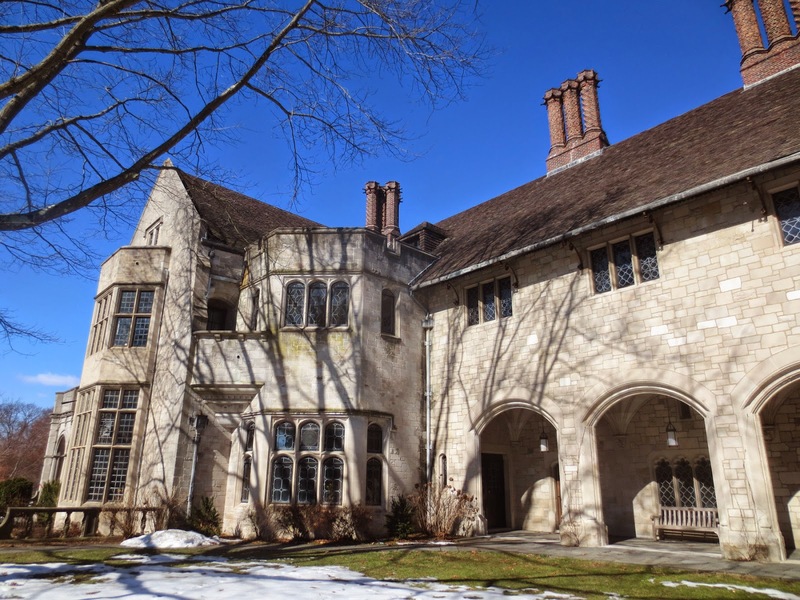 After a 1918 destroyed in 1918 the first house, Mr. Coe built the sixty-five room Tudor Revival limestone mansion "Coe Hall". 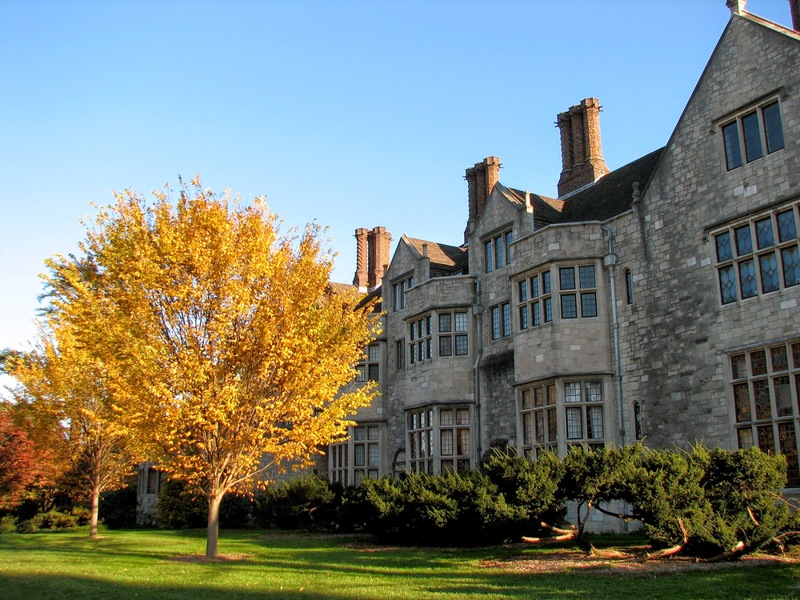 The estate was deeded to the State of New York in 1949 and is operated today by a foundation. 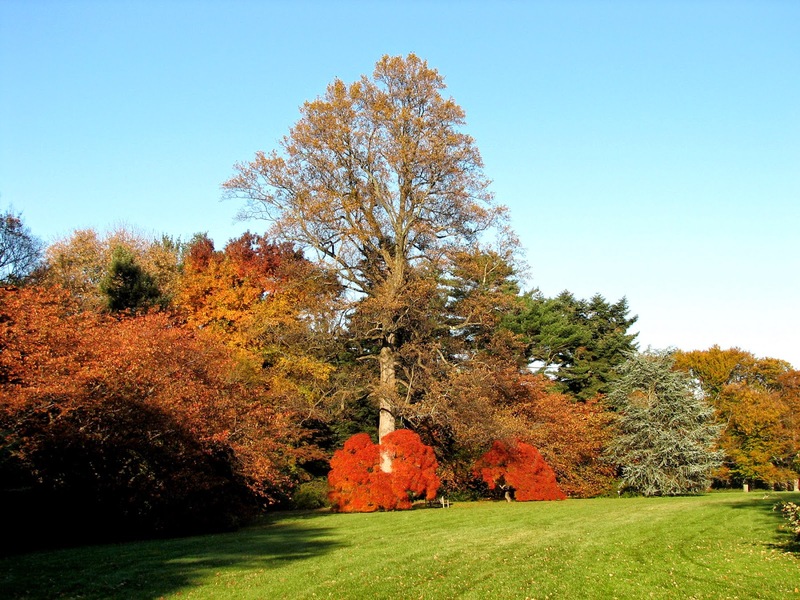 Planting Fields is now a public arboretum with 160 acres of gardens and plant collections and 250 acres of lawns and woodlands. Coe Hall itself is very English. Some of the huge fireplaces and mantels were actually imported from Europe, as were stained glass windows in the dining room. The most splendid English import was the Carshalton Gate, a filigree in wrought iron which guards the now closed main drive entrance. 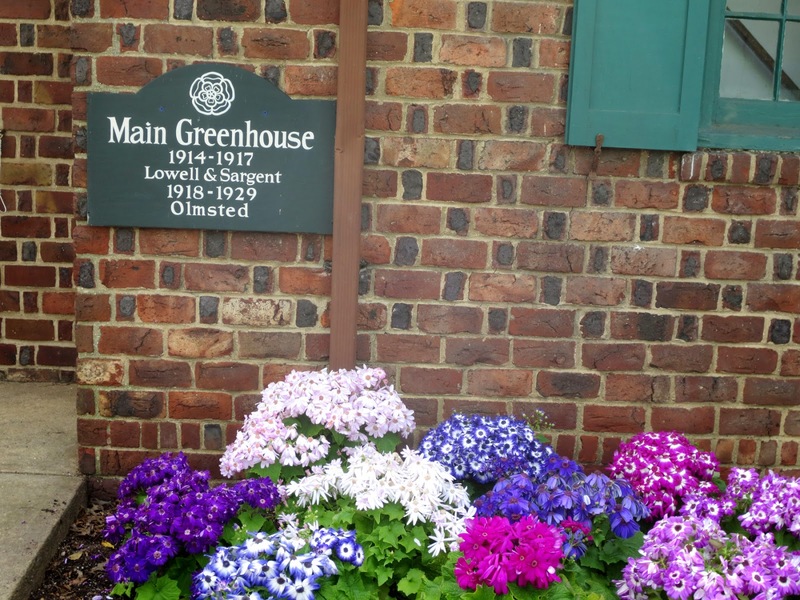 Mr. Coe wanted great English gardens to match his great English house. 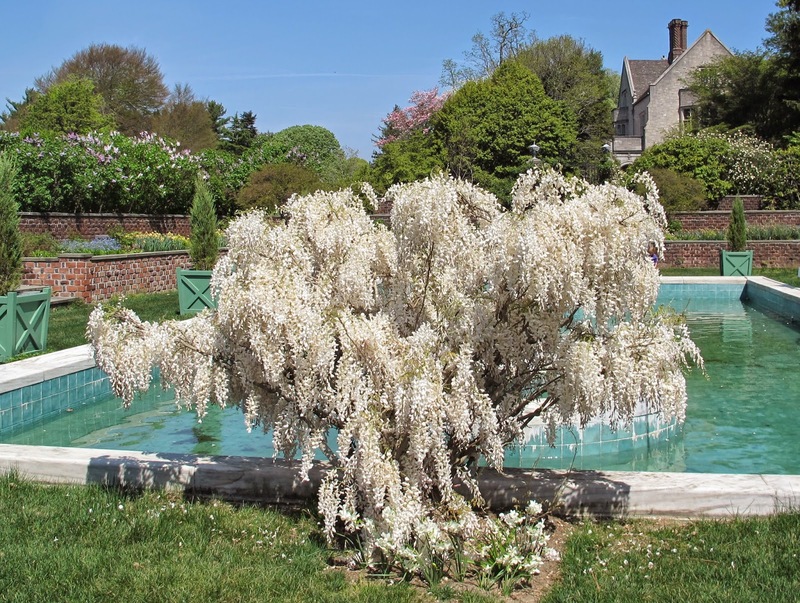 The Coes' interest in rare species of trees and plant collections made the estate a botanical wonder. 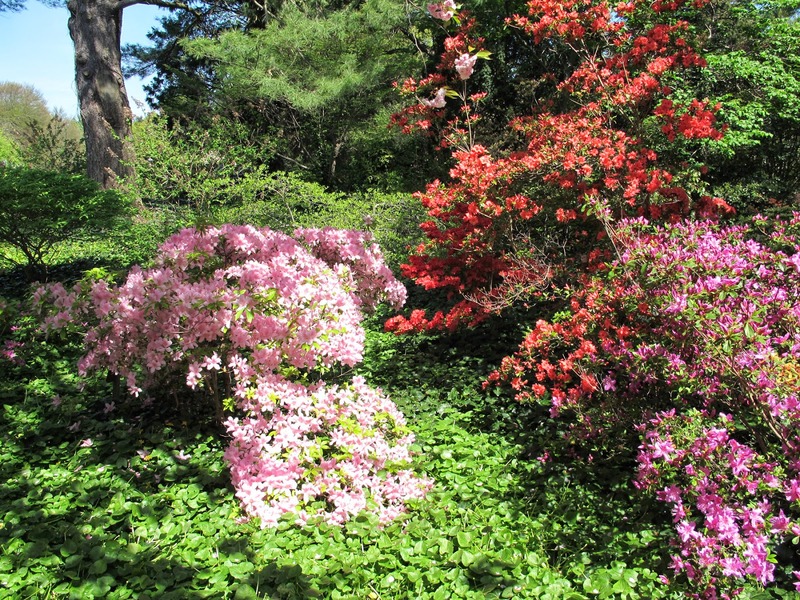 He planted rhododendrons purchased in England through the English nurseryman Glomar Waterer. In 1916 Mr. Coe bought unusually fine collection of camellias , for which the Camellia House was constructed in 1917, designed specifically to house a collection of 114 mature plants shipped from Island of Guernsey in the English Channel. Camellias are trees originally from Asia that flower in February and need to be protected from freezing. 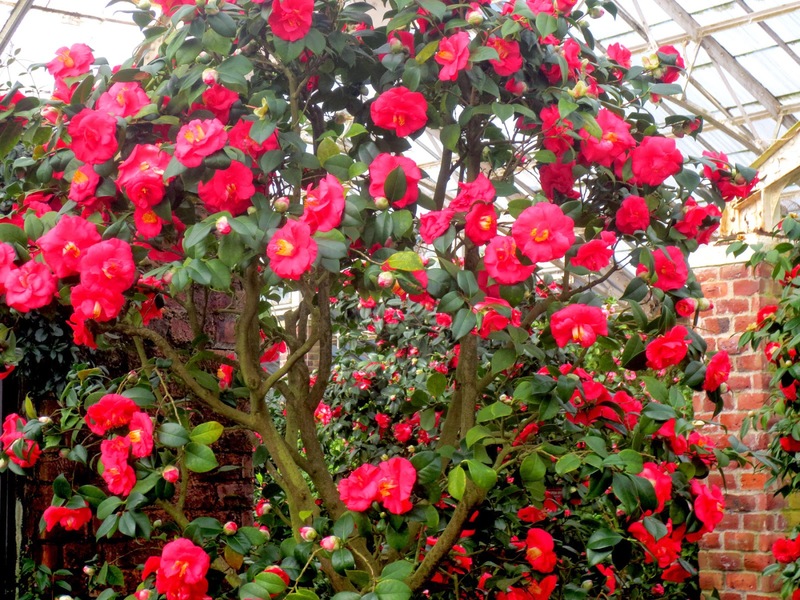 Today, the collection comprises over 300 plants, making it the largest display of camellias in the northeast. 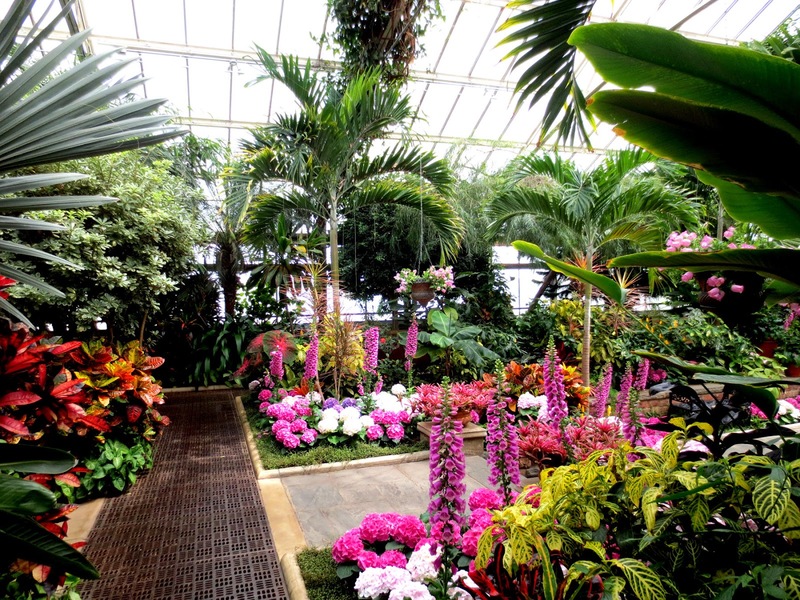 Collections in the Main Greenhouse include Orchids, Cacti, Begonias, Palms, Ferns and Hibiscus. There are about 7 miles of woodland paths in the park that provide numerous options to explore. Practically every area and season has something to offer. From March 29th till September 30 the hour long tour is offered twice daily at 12:30 p.m. and 2:30 p.m. for $4. Park is located 30 miles to the East from Times Square, Manhattan. Park is open daily from 9:00 am - 5:00 pm.The price per car is $8 per until November, 18th. 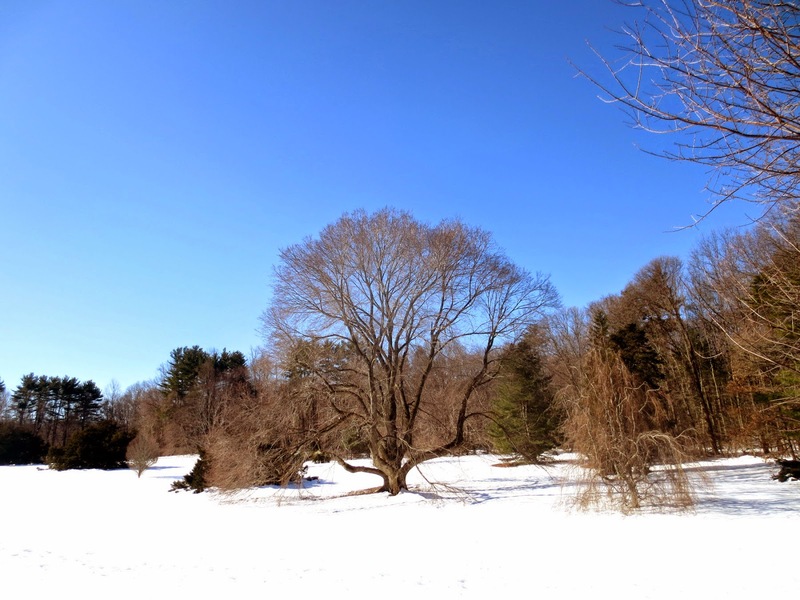 In winter the park is free., and it is free on weekdays for seniors ( 62 and older). In summer on Saturdays, starting from July, there are free music concerts in the park. 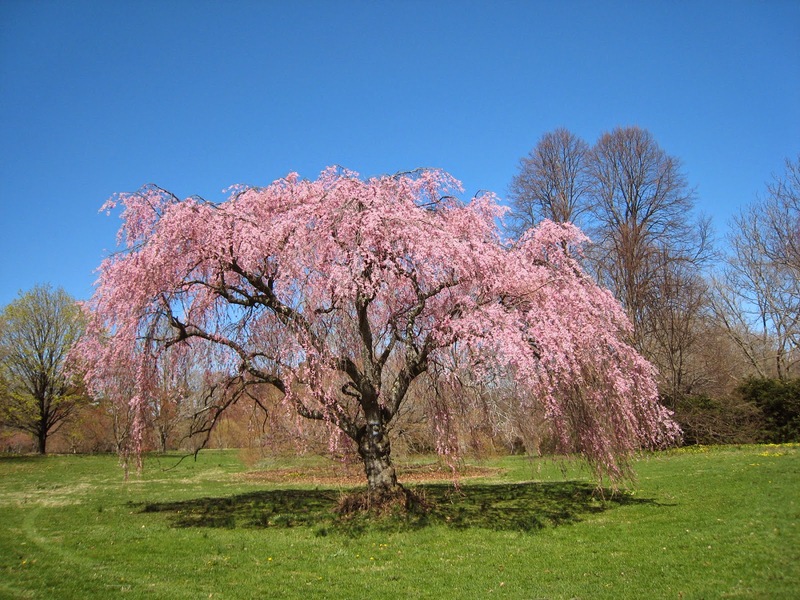 You can bring a chair or a blanket, and an outdoor picnic to enjoy great music and the beauty at Planting Fields. I visit the park at least twice every season and believe me- it is really beautiful and so close to the city!